Spread across a mountainous slice of Central America immediately south of Mexico, Guatemala is the quintessential exotic destination for European travellers – well off the beaten track. However, loaded with incredible natural, historical and cultural appeal, the country is gaining traction as a tourism hotspot, making now the ideal time to visit. As part of a multi-stop trip to Central America, Phil Sharp here finds out more for Breaking Travel News. Despite being the most populous country in Central America, Guatemala feels like an underdog. The country has a wealth of culture and colour, both current and historical, but it just doesn’t seem to be in the Guatemalan nature to shout about it too much. It’s refreshing to feel like the country is unfolding in front of you, rather than knowing you are being led along a very well-worn path. 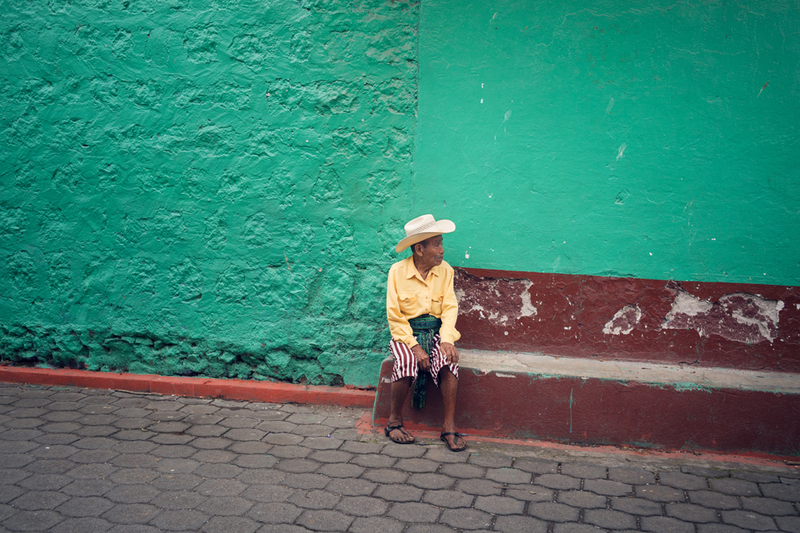 Guatemala is an imperfect, living blend of its indigenous and Spanish past. This past, however, isn’t immediately apparent when flying into Guatemala City. The capital is the most populous city in Central America, but being relatively new, it isn’t high on the tourist agenda. In any case, the centrally located airport means we arrive via taxi at our hotel in about 15 minutes. 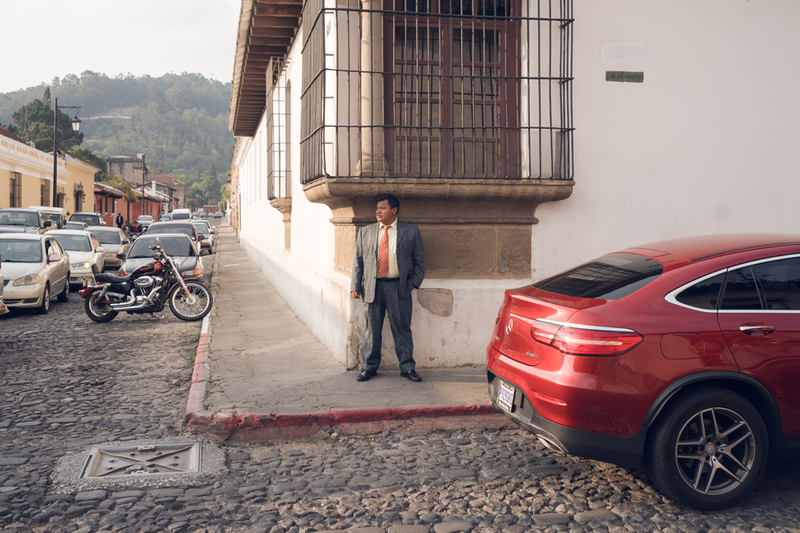 The easy access to Guatemala City International means the country works well as a base to explore the rest of the region. Our first stop proper during a flying visit this May is the former capital city Antigua (from the word ‘ancient’ or ‘antique’). This UNESCO World Heritage Site was the capital of the country until 1773, when continual destructive earthquakes convinced the authorities to move to Guatemala City. What was bad for the inhabitants at the time however, is good for the contemporary tourist , as much of the city remains as it did when the population upped-sticks and left. Now, with a population of about 45,000 and at least two fantastic hotels, Antigua is the essential location to start to get a feel for the history of the region. It’s through religion that the Spanish justified their conquest, and it’s through the remaining churches that the traveller can learn how this conquest took place. The churches (some intact, some partially collapsed) of Antigua also serve as markers in time of the various natural disasters the region has suffered. The area’s history is literally all around you in Antigua, thankfully the town is small enough to cover on foot - or hop in a tuk-tuk to buzz around the cobbled streets a bit quicker. From Antigua we drive along a section of the Pan-American Highway to Lake Atitlán. Here you start to get a feel for pre-conquest Guatemala. Taking a boat from Panajachel, we cross the lake to San Juan La Laguna to find exquisite, hand-dyed and made cotton scarfs and artworks of various types being sold in a refreshingly languid style. The only time I am pressured into parting with my quetzal (US$ are accepted in some places, but I would recommend having the local currency) is in the house of Maximón, something that I’m more than happy to do. Maximón is a local deity, represented by a cloaked, wooden effigy. Once a year the effigy is moved to a new home within the lake-side town of Santiago Atitlán. Members of the brotherhood give offerings of alcohol and cigarettes and take payments from locals and tourist alike to enter the home. The incense-heavy atmosphere is part legitimate religious ceremony, part psychedelic freak-out and part decent money-earner. 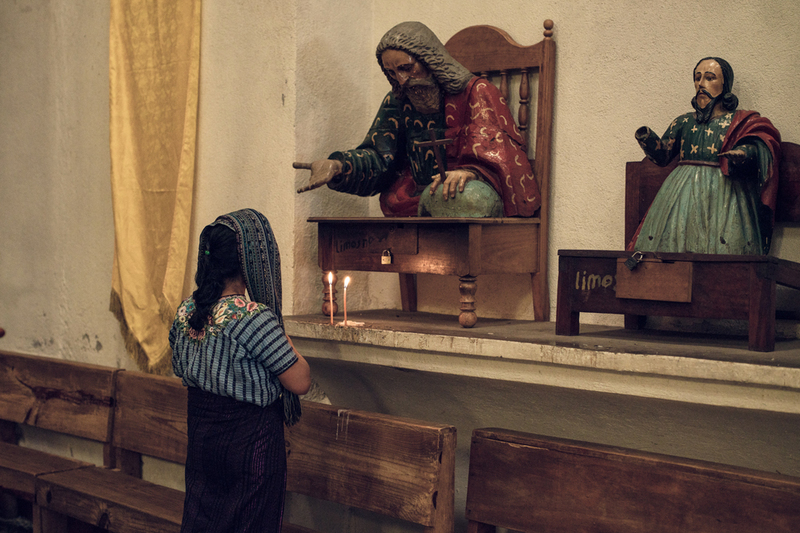 The cult of Maximón is not completely at odds of the prevalent Catholic religion and the experience serves as a reminder that local populations found a way to blend their own belief systems into dominant religious practise. The following day we rise early to catch a flight from Guatemala City to Flores’s Mundo Maya International Airport. As well as being a beautiful destination in its own right, Flores is the staging post for a visit to Tikal, a Mayan ruin, mostly dating from around the eighth century. An expert guide reveals the huge site gradually, and the power of the huge pyramids hasn’t decreased over the years. 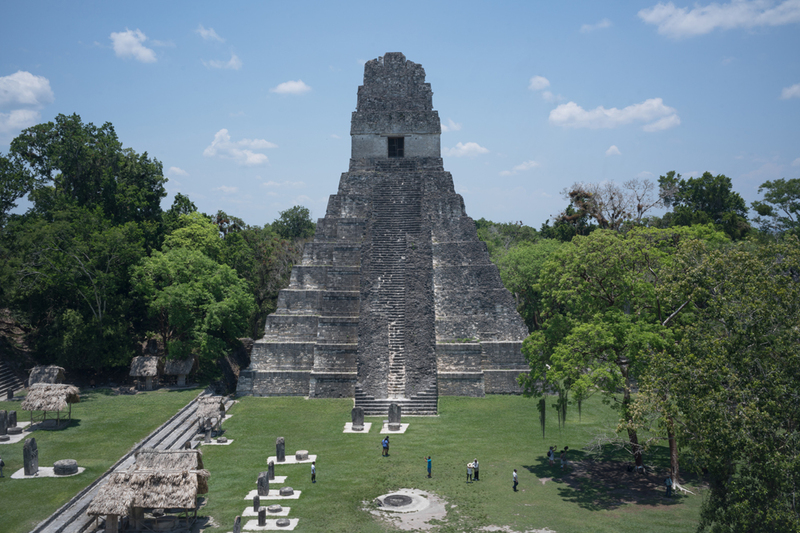 Because of Guatemala’s somewhat underdeveloped tourist industry, the site feels like something to explore and you can experience a real sense of discovery after climbing the 70 meter high Temple IV. From that vantage point there is no visible sign of the modern world, although you might be reminded of Star Wars; the site was used as the Rebel Alliance’s secret base, Yavin 4. We return to the town of Flores to cool down with refreshing cocktails from cafe La Danta and a leisurely stroll among the multi-coloured buildings of this tiny peninsular town. We fly back to Guatemala City the same day as our arrival but there’s about 15 hotels to choose from and I would’ve happily spent more time here. On our return we finally get to explore a small amount of Guatemala City itself. A lot of money has been spent renovating the central area especially the main drag, La Sexta Avenida (or ‘The 6th’). Money well spent in some regards, but there’s the slight whiff of gentrification in the air. Perhaps not such a bad thing as tourism continues to grow. However, Guatemala is an enticing prospect because of the rough edges, Guatemala is a place, not a brand, and all the better for it. Find out more about visiting Guatemala on the official tourism website, while CATA, or Central America Tourism Agency, has a wealth of information on visiting the region as a whole. 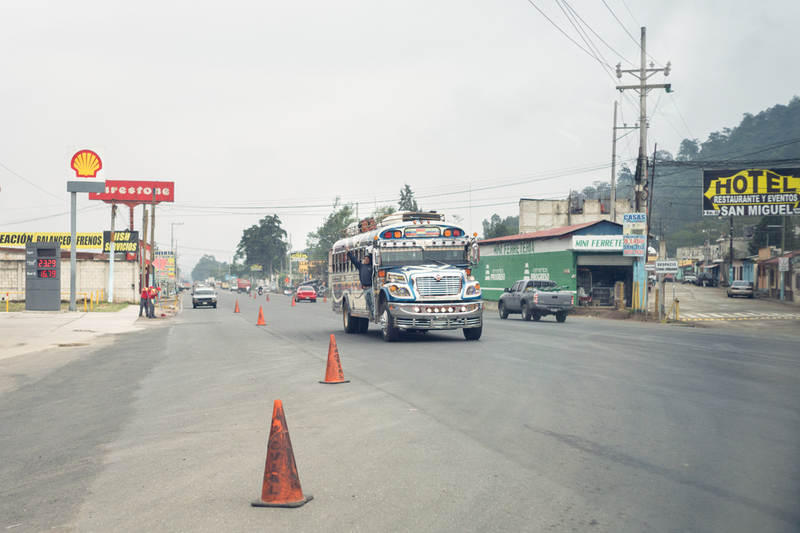 Take a look at a further series of images from Breaking Travel News’ time in Guatemala here.